The Le Sigh: Premiere: Baby Mollusk - "Always Mad"
Premiere: Baby Mollusk - "Always Mad"
Baby Mollusk goes full band on new track "Always Mad." Have you ever looked up pictures of mollusks on Google images? 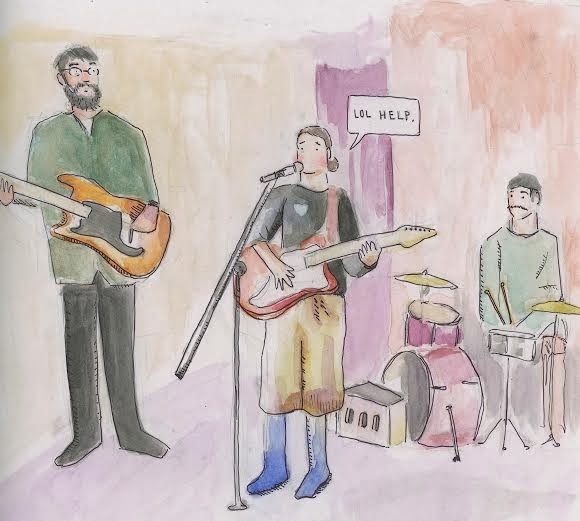 I hadn't until I discovered SUNY Purchase student Rachel Gordon's solo project Baby Mollusk. Beneath their hard shells, these little mollusk creatures are soft and gooey in a way that makes me want to touch them. Rachel's music is kind of similar in that sense; so tender and vulnerable that you find yourself coming back to listen over and over again. Today we're thrilled to premiere "Always Mad," a track off of Rachel's upcoming tape Baby Mollusk & the Big Babies. To be released by Mt. Home Arts next month, the tape is eight tracks long and each song has a new full-band feel. They will be celebrating the release of the tape in Brooklyn on February 19th and more details can be found here. so you make me cry instead. its not fair but thats irrelevant. No old man wants to hear me vent. if not for my hard earned heartache? I've got pies to bake and love to pretend to make. I can't explain who determines this fate, I just know they have nothing at stake. Pre-order Baby Mollusk & the Big Babies from Mt. Home Arts.